Oral hygiene is simply essential for strong healthy teeth and gums and to prevent certain dental problems from developing. Help yourself to not need a root canal or cavity fillings in the future. Maintaining good oral hygiene when undergoing orthodontic treatment is even more important. The use of dental appliances like braces can trap food, plaque, and bacteria causing all sorts of oral health problems like gum disease, cavities, and even bone loss. Brush and floss well after eating any food. Carry your toothbrush, toothpaste, and floss with you ensuring that the are stored hygienically. Mouthwash is also great to kill bacteria, freshen breath and eliminate plaque but should never replace brushing and should be used after brushing. Never miss an appointment with your orthodontist, dentist or oral hygienist. Orthodontics should not prevent you from having your teeth professionally cleaned on a regular basis. 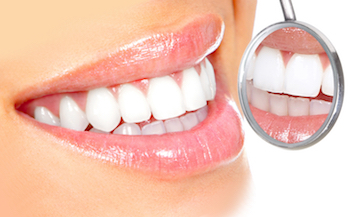 It may even be beneficial to have your teeth cleaned more often, about every 3 to 4 months. While a manual toothbrush will clean your teeth effectively, an electric toothbrush may make the process faster and simpler, providing a more comprehensive clean. Invest in a Waterpik that can be attached to an electric toothbrush. This device basically sends out a stream or jet of water to remove food particles and plaque that are trapped in orthodontic appliances such as braces, bands, wires and other components of bite plates, expanders, and space maintainers. A regular fluoride rinse can also help prevent cavities (caries) and eliminate calcification on the tooth around braces. These treatments protect the teeth by forming a barrier against bacteria and seal the teeth against decay. You can purchase fluoride treatments and varnishes over the counter at your local pharmacy. However, in the event that you suffer from dry mouth or have poor enamel (both of which are signs that additional fluoride may be necessary), consult with your dentist or orthodontist to prescribe stronger fluoride rinses or toothpaste. OC Smile teaches their patients to get excited about oral hygiene in between ortho appointments. Everybody wants a dental office visit without pain, and a great way to do this is by taking care of your teeth every day! Employing these good oral hygiene techniques during orthodontic treatment will not only help prevent diseases, decay, and other problems, but may also decrease the duration of your orthodontic treatment as well as keep your orthodontist happy. It can also help with post-adjustment braces soreness. Did you know that brushing your teeth twice a day does not guarantee you a healthy mouth? Even if you practice routine oral hygiene, you could be practicing some unhealthy habits without even realizing it. This article will teach you the best tips to ensure you are practicing the best dental hygiene habits, including proper brushing and flossing to get your entire mouth healthy and clean. Continue reading to learn the best technique and tools you need for healthy teeth and gums. It takes longer than a few seconds to get rid of any food particles in your mouth and properly polish your teeth for a bright, white smile. According to the American Dental Association, you should brush your teeth at a 45-degree angle, brushing from your gums to the bottom of your teeth. Use short back and forward strokes on the sides and tops of your teeth. For the back of your teeth, hold the tooth brush vertically and use short strokes to prevent plaque from building up. Most people do not brush their teeth enough to keep them clean. According to the ADA, you should brush for two minutes, twice daily. To help ensure you are brushing your teeth long enough to get them clean, set a timer or listen to a song while you are brushing your teeth. For small children, teach them to hum a song while they are brushing their teeth. This will make brush-time fun and ensure they are brushing long enough. Flossing is just as important as tooth brushing and must be done properly. Flossing requires getting between the teeth to remove food particles that can lead to cavities. Grab an 18-inch piece of floss and wrap around your fingers until taut. Floss between each tooth and use a fresh section of floss after flossing between a couple of teeth to ensure that you are not re-depositing bacteria on your teeth. Rub against each tooth in a forward and back motion to maximize the effectiveness of your flossing. The Orange County Dental Society says public awareness of proper dental health is so important. Practicing good oral hygiene habits is essential to good oral health. And if you end up have teeth or gum issues even after practicing these oral hygiene recommendations, it can be beneficial to get a Delta Dental PPO plan or something similar so your out-of-pocket costs are minimal. By learning about the best dental hygiene tips and practicing them, you can help prevent cavities and have a bright, white smile.